And if any of these items fall out of bounds, an SMTP alert is sent to the mailbox of your choice for action. 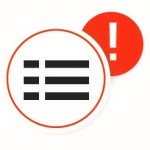 The tool will also send “All Clear” emails when these items are resolved, ensuring you are aware when the service has resumed a healthy state, neat huh? Did you know that the Citrix XenDesktop and XenApp 7.x suite also keep track of Hypervisor alarms? It was news to me! Any-who, if you are lucky enough to be running XenServer or vSphere. The director Notification service can be configured to also catch these alarms, allowing you to also be alerted. Download the Tool from the above URL. Install the service on a server running Windows Server 2008 R2 or above with .Net Framework 4. The service account maintains a WinRM remote session to your delivery controllers and performs checks on a frequency you determine. Setting up this account is the meat of the install. 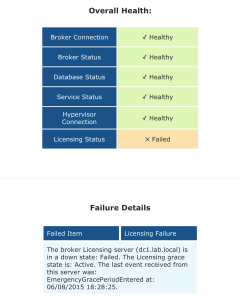 Create an Active Directory Service account for monitoring director (this is needed later). 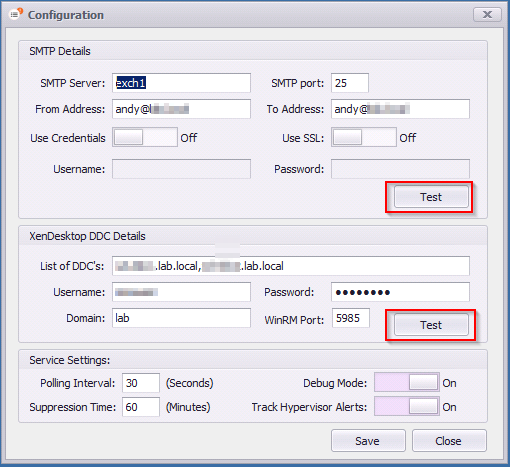 Copy the XDServiceAccountProvision.ps1 file from the installation directory and run this script on all delivery controllers to automatically create the correct permissions for your service account. If you’re curious, read the script. A copy is below if you feel like doing it manually. 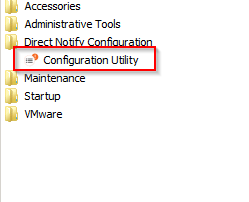 You’ll find the configuration utility on the start menu, under Direct Notify Configuration (this tool requires admin permissions). Ensure to use the test buttons. Once happy all is working. Start or restart the “Director Notification Service”. A debugging option exists in the configuration tool, this will log to a trace.log in the installation directory of the machine. If you have issues, first enable this and review the log. write-warning "Before proceeding, Ensure you have: "
write-warning "1: Created a service account for monitoring XenDesktop." write-warning "2: Ensure you have local administrative access to the local machine." write-warning "3: Ensure this powershell instance is elevated." 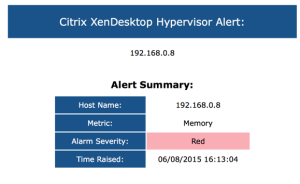 write-warning "4: Ensure you have Administrative access to the XenDesktop site." read-host "Press Any Key To Continue"
$domain=Read-Host -Prompt "enter domain name the monitoring user is a member of: e.g. lab"
$username=Read-Host -Prompt "enter monitoring user name: e.g. john.doe"
new-adminrole -Name "Direct Notify Role" -Description "used for Direct Notify Service"
A service account should be created to monitor the brokers (included in the script). Drop me an email on andrew@andrewmorgan.ie if you have any trouble! Enjoy and i hope this is very useful to you. I’ll be diving into the oData values in the Citrix monitoring database in the next itteration. This work has already begun and will be updated soon. 2- you may want to sent out for example Licensing Status when “Approaching the maximum number of licenses” is displayed in Director. 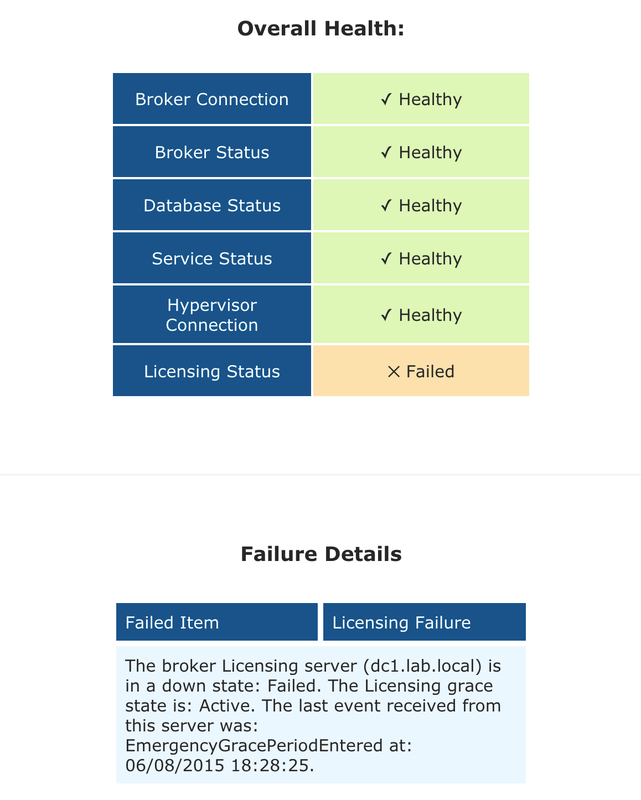 I have tested this and I can see in Director the “Approaching the maximum number of licenses” warning is displayed but the tool rightly says it is healthy but would make sense to reflect the status of Director and the alert to match. A great tool which fills an obvious void in Citrix products, they seem to get close but never deliver that final solution anymore :(. Would be even better Andrew if it could also send alerts for Machine failures, specific example would be “Maximum Load” for instance.